General Patton once stated that the M1 rifle was “The greatest battle implement ever devised” yet I doubt that any of today’s soldiers would trade their M4’s for one. Baron von Richthofen’s red Fokker triplane ruled the skies during World War I, but he would not last a moment in a dogfight with today’s jet fighters. Even the most cutting edge device will eventually change or be replaced by advanced technology. It is inevitable that the polygraph as we know it will also go the way of the M1 and the Fokker. We call ourselves polygraph examiners, yet does that term define who we are and what our profession is truly about? Are we “objective seekers of the truth” or are we wedded to a single 1 instrument that enables us to do so. If the” truth” is that a totally new device, method, or augmentation to the traditional polygraph is proven superior to today’s instrument, how “objective” will we be? Will we embrace the future, or staunchly defend the past? People naturally resist change, but in our technological society, this is no longer a luxury that we can afford. Today’s examiners must be ready to transition to a totally new paradigm in the detection of deception. This may include accepting different work roles such as supervision, mentorship and quality control of Evidence Recognition Sensor (ERS) analysts or learning to operate a totally new instrument such as an EyeDetect or a brain scan. No matter what device we utilize, our skills in question formulation and interrogation are what matters. Great polygraph chart work doesn’t solve cases; confessions are obtained through superior interpersonal skills in interrogation. We must begin to think of ourselves not solely as polygraph examiners, but as credibility assessors, willing to accept whatever the future holds. The name change from the American Polygraph Association (APA) journal Polygraph to Polygraph & Forensic Credibility Assessment reflects a willingness to embrace new technology and methodology. The APA Seminar and journal must similarly be open forums where research on new devices and methodology may be presented. That the reputable polygraph manufacturers, who, after years of supporting the APA through their advertising dollars, are no longer allowed to present at the APA Seminar is unfathomable. Obviously, if a substantial amount of research exists that indicates a device or procedure is inaccurate or the research to be presented is patently false, misleading or flawed it should be rejected. No one is suggesting that charlatans have a right to present their bogus ideas or wares, only that consideration should be given to new, properly conducted, research in alternative methods of credibility assessment. Further, the journal should be made public so that academics from other disciplines may learn from our research work. In this way the APA leadership will present an example of forward thinking to its membership. In 1996, Dr. Victor Cestaro was conducting research into the accuracy of voice stress analysis (VSA). 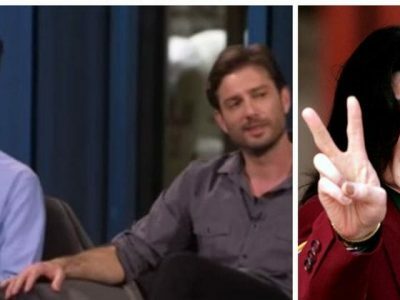 His initial hope was that if the VSA system was found to be a reliable and accurate indicator of deception that it could be added as a fifth channel to the polygraph. Unfortunately, his study and many more like it resulted in the conclusion that VSA‘s accuracy was no better than chance. That the VSA resulted in a technological “dead end” is not so much the point as was Dr. Cestaro’s willingness to accept new technology, if it was proven to be useful. In the 1948 feature film “Call Northside 777” we see Leonard Keeler employ a polygraph instrument that consisted of a single pneumograph tube closely resembling a large sausage, a metal clamp placed on the subject’s hand and a blood pressure cuff all connected to a crude wooden box. Keeler, the father of the modern polygraph, would hardly recognize today’s polygraph instrument. 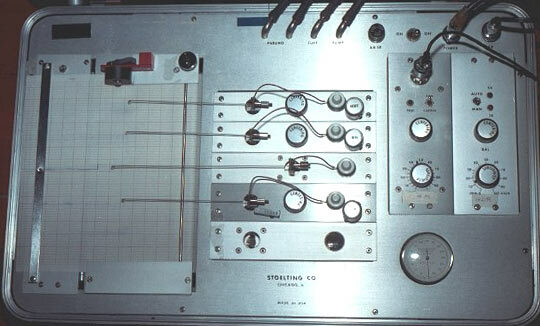 Most improvements were incremental until in the early 1990’s when the analog polygraph gave way to the computerized instrument. While most of us adapted to the new technology, one well-known, and highly respected, examiner purchased scores of used analog instruments in the vain hope that the polygraph community would realize its error and return to them. He was blind to the future and sadly died peacefully dreaming of the past. As an academic, Dr. Cestaro’s mind was open to new ideas and the entire polygraph community should follow his example. Closing your eyes to the future is not a good choice. But if you do, I know a blind guy who can sell you a used analog polygraph instrument!